Blocktrades have recently upgraded their interface so I thought it would be useful to do a new version of my guide for using it. The process is almost identical no matter what exchange you are trying to do. Whether you want to convert to fiat currency or not the first step is always converting to Bitcoin. Here I will cover how to convert Steem or Steem Dollars to Bitcoin if you can do that you can basically do any other conversion. No account is required and you don't need to trust anyone to hold your money. It is fast and direct as you don't need to transfer money to a separate exchange wallet. No bots fiddling with the price when you are trying to bid. Rates are better in my experience (unless you are using minuscule sums) and there is a set price. Trades do not affect the Steem price the same way a a regular exchange (OTC). Blocktrades is a major supporter and investor in Steem so you keep your transactions within the community. You don't need an account, but if you want you can make one by clicking on "Sign up" - this will keep a log of your transactions. I'm OCD so prefer to have an account where I can check my old transactions. 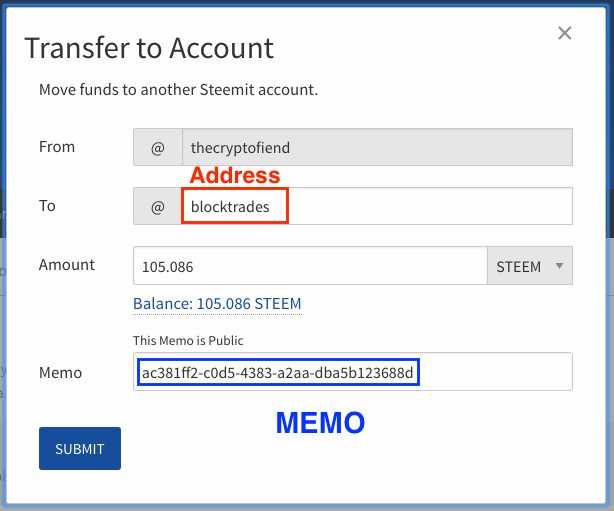 The Steem Address will always be the same "blocktrades" but you need to also use the Memo Address as shown. Make sure you don't mix these two up. 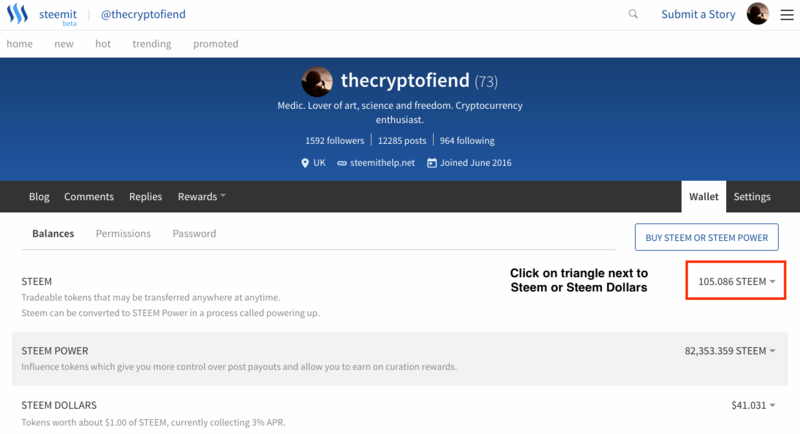 On your wallet page click the disclosure triangle next to Steem or Steem Dollars. I am converting Steem so will click on Steem. The transaction will show up at the bottom of your wallet page in the History section. 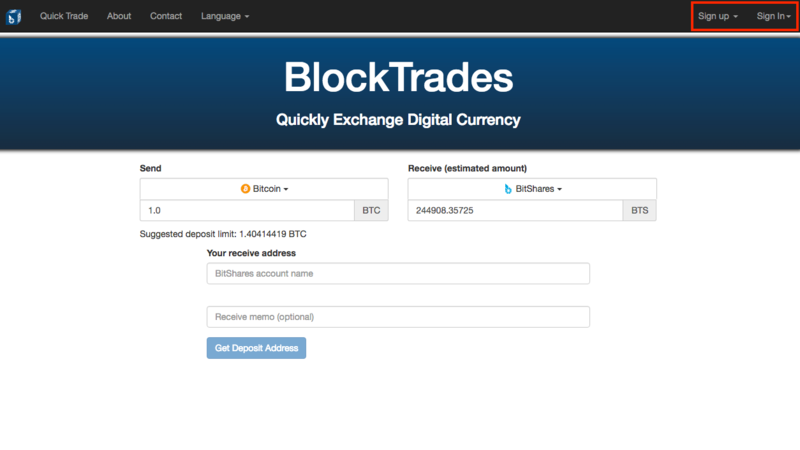 It will also show up on the Blocktrades page - I'm not sure why but it is showing as the second transaction on my account page but normally it will be at the top. 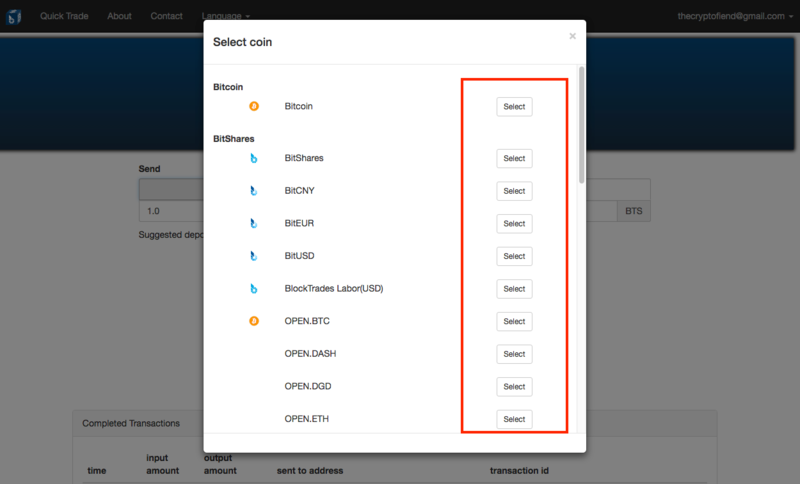 Finally check your Bitcoin (or other receive currency) wallet and after the appropriate amount of time your coins should be there. 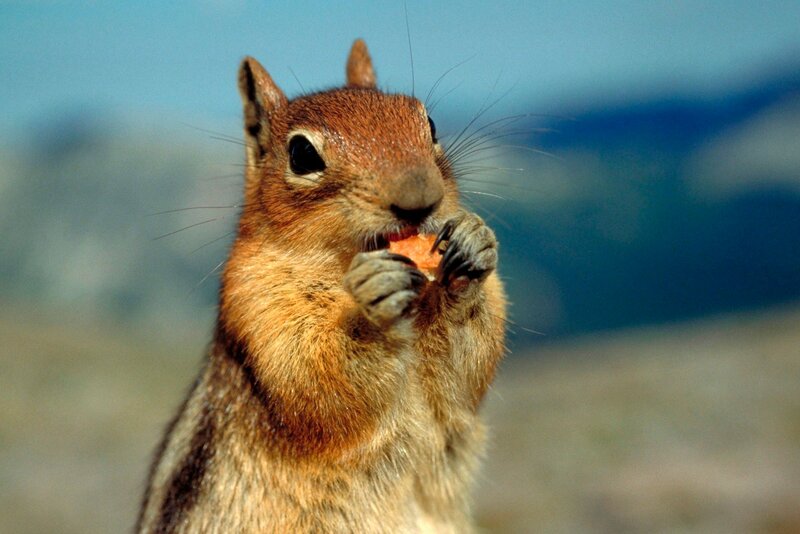 Don't forget Bitcoin and most other cryptocurrencies are a lot slower than STEEM so it might take them time to show up in your wallet. Well done. Now you know how to use Blocktrades!